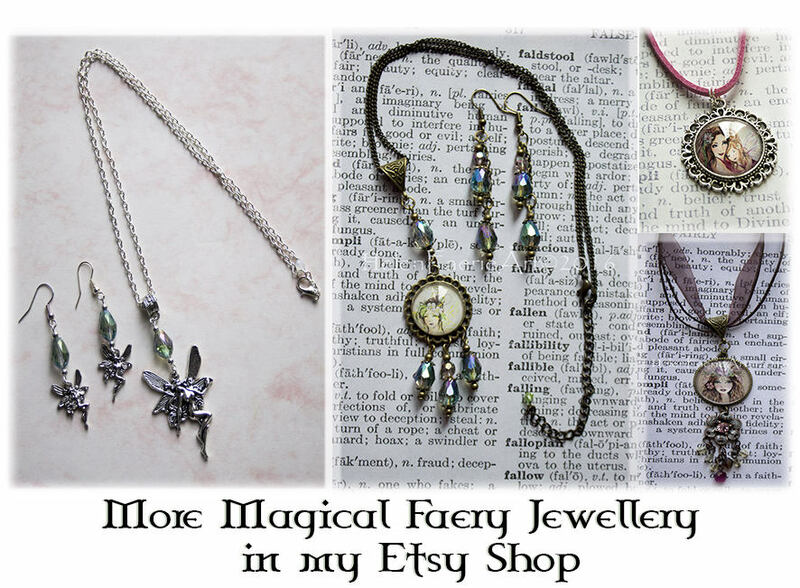 Enchanting faery art pendant organza necklace, hand crafted in my magical faery studio. 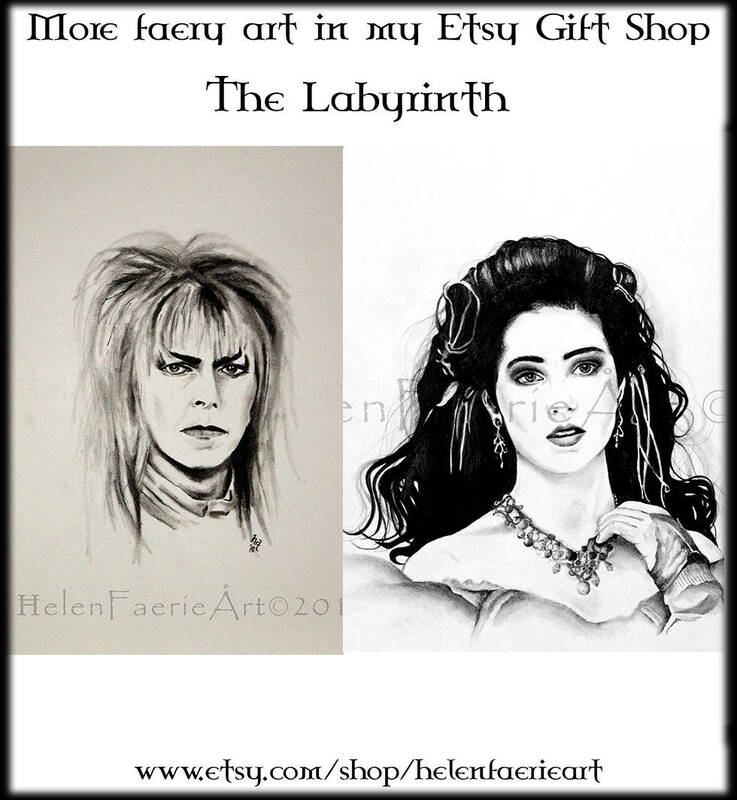 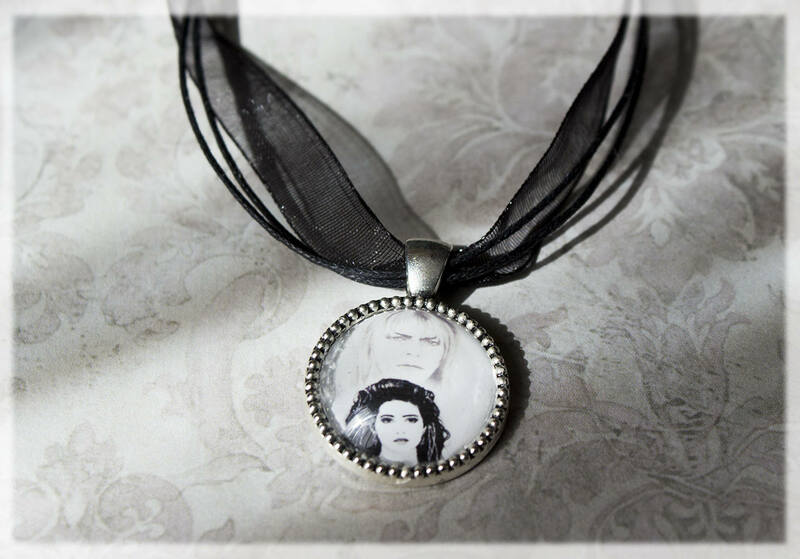 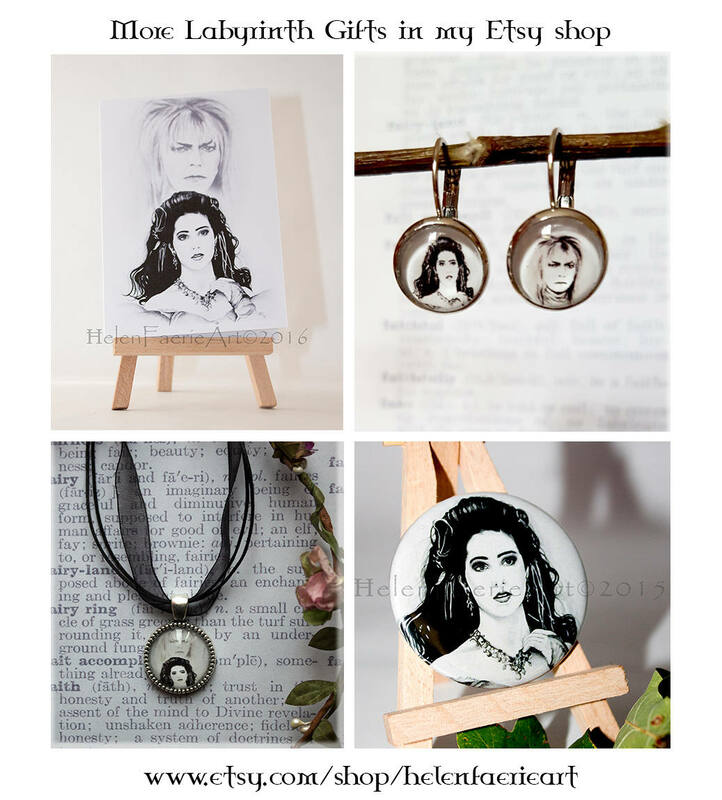 This Labyrinth inspired fantasy art necklace, features a print of my original pencil drawing 'Jareth' & 'Sarah - The Masquerade Ball'. 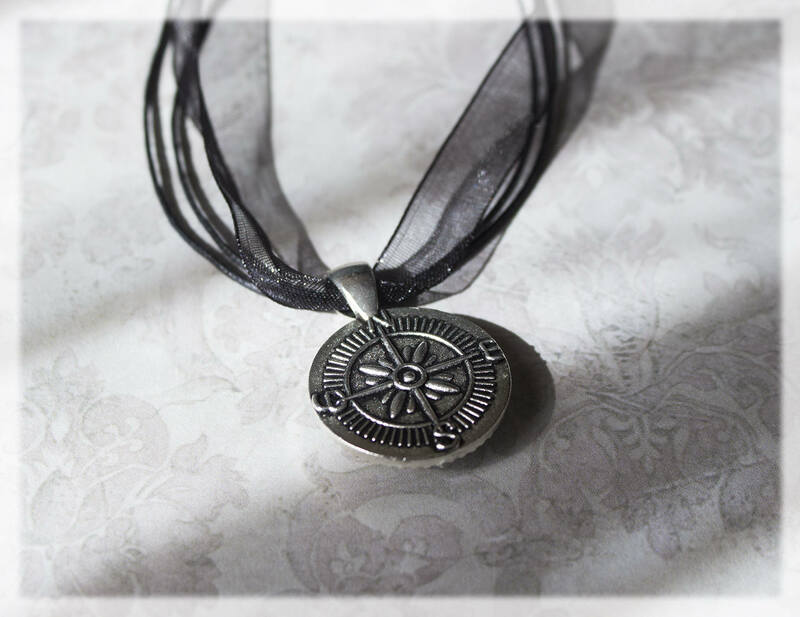 It is set under a glass dome in an antique silver tone round setting frame, with a compass back detail. 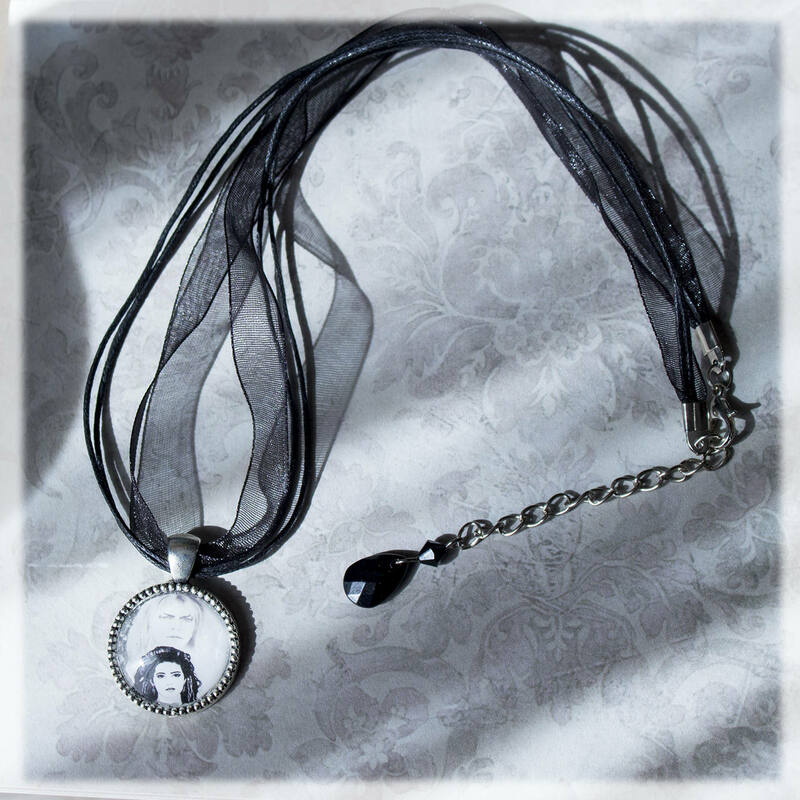 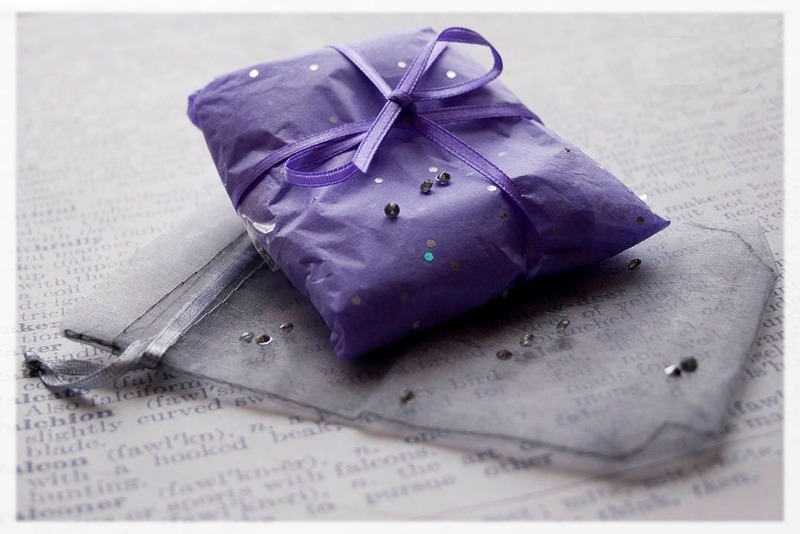 ☆The necklace comprises of 2 strands of cord and 1 strand of Organza Ribbon. 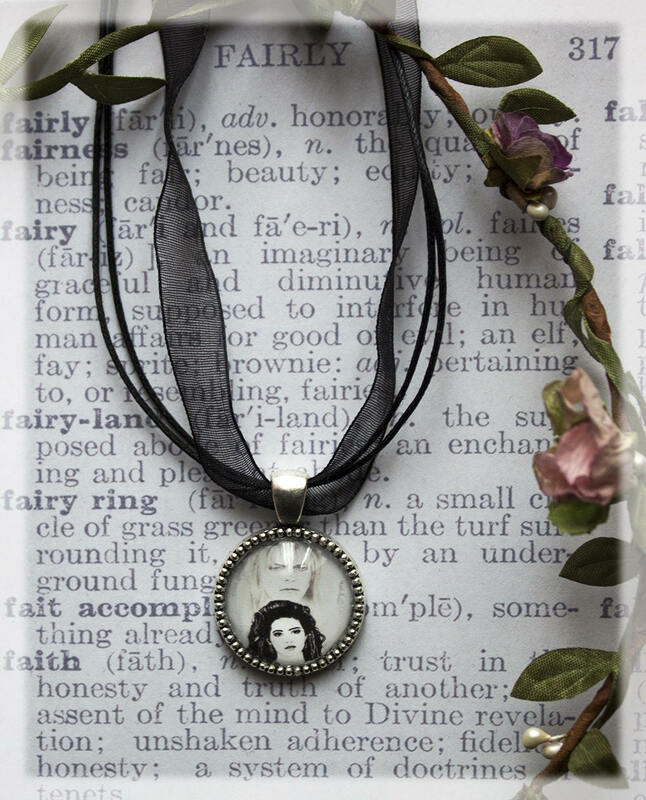 ☆Necklace measures approx 17 inch long with an extra 2 inch extendable chain & a 12 mm Lobster Clasp. 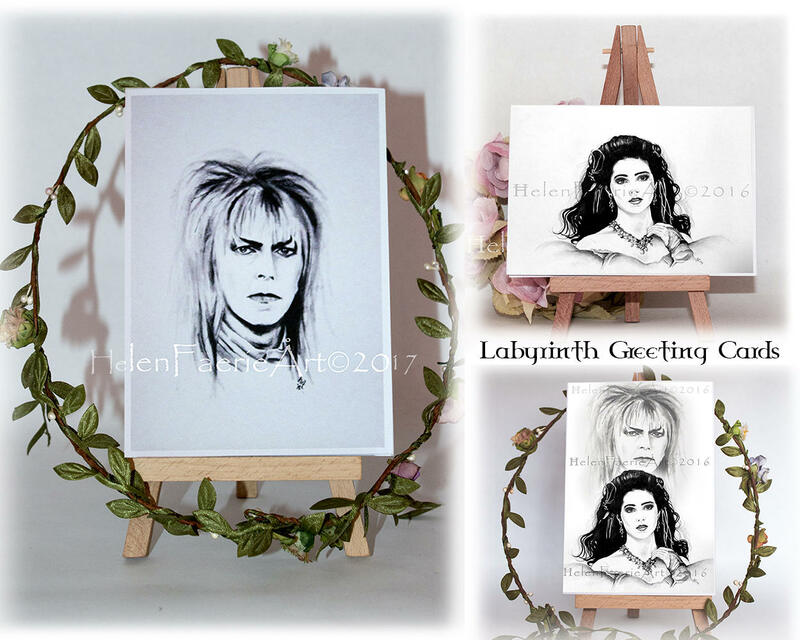 Total chain length (Approx) 19"
Great as a gift for a Labyrinth fan or to treat yourself with an unique pendant!